Be a role model for your kids. 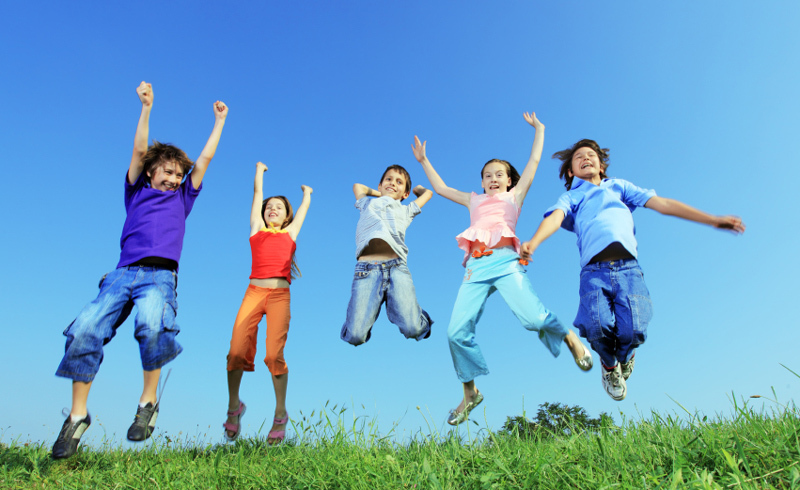 If they see you enjoying physical activities, they’ll be encouraged to become active themselves. Go on an “active” family vacation, such as a camping or canoeing trip. Plan a weekend family activity, such as flying kites, riding bikes, or skating. Help your kids find activities that they enjoy, and get them involved through teams, clubs, or lessons. Keep in mind that some kids prefer team sports, while others prefer solitary activities. Give birthday and holiday gifts that involve physical activity, such as in-line skates, a tennis racket, or a soccer ball. Substitute physical activities for sedentary ones. For example, schedule a walk with your family after dinner instead of watching TV. Assign your kids physical household tasks, such as helping with yard work, washing the car, or cleaning the house. 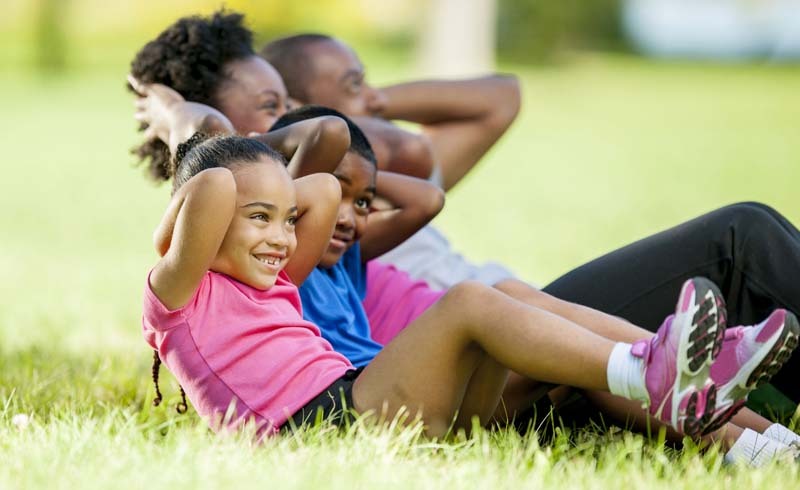 Become more active throughout your day and encourage your family to do the same. Take the stairs instead of the elevator or parking farther from the store.